Blush in 'Mellow Mauve,' £3.75. First off, I love the sleek, black packaging for this - it reminds of the Nars blushers. Kudos to E.LF for providing a handy mirror too (something high end brands often skimp on). The colour is a deep pink-plum colour - perfect for Autumn/Winter - and the pigmentation is fantastic. The product also provides the perfect amount of shimmer - I often find cheaper blushers contain quite a lot of glitter, but this is nice and subtle and thankfully doesn't highlight the pores on my cheeks. The only con I can think of is that the texture is a little powdery, but for the price I'm willing to forgive this! Lip Exfoliator, £3.75. I can honestly say I don't know how I've been surviving without this - it's fantastic! Infused with Vitamin E, Shea Butter, Avocado, Grape and Jojoba oils, it nourishes and conditions my dry lips better than any balm I've ever tried. I've been applying it generously before bed and throughout the day whenever I feel my pout needs a pick-me-up, and my lips have never been happier. I'll definitely be repurchasing this in the future! Moisturising Lipstick in 'Coral Cutie,' £3.75. Another product that's perfect for dry lips - this applies beautifully and doesn't cling or tug on any flaky patches. I thought the pigmentation would be a bit rubbish but I was surprised to find the colour pay off is lovely and rich. I think this shade would be perfect for Spring/Summer. 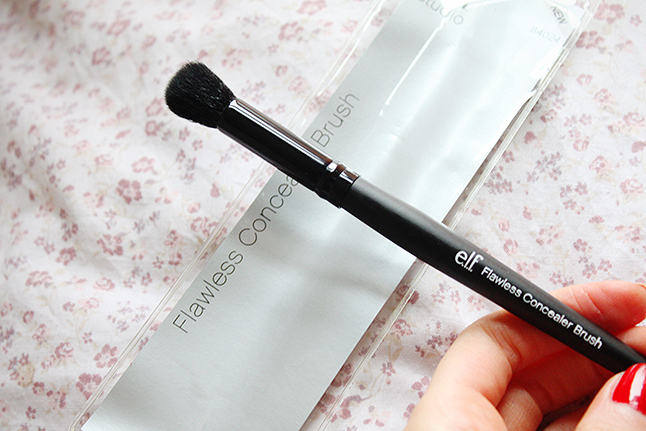 Flawless Concealer Brush, £3.75. After reading glowing reviews on this brush I couldn't resist popping it into my basket. While it does a nice job of buffing in my concealer, I don't think it beats blending with my fingers. I find it's great for eyeshadow, though, so I won't be neglecting it just yet. Maximum Coverage Concealer in 'Sand,' £3.75. I didn't really need another concealer but I was curious to see how this compared to my current favourites. Unfortunately I wasn't overly impressed - I found it a little hard to blend and the coverage isn't as good as I'd hoped. However I've read countless positive reviews for this product, so if you think you might get along with it it's worth picking up for the price. Overall I found this to be a very successful little haul. Despite being disappointed with the brush and the concealer, I'm in the love with the lipstick, exfoliator and the blush. 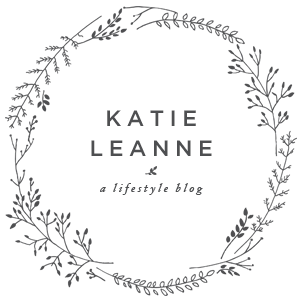 If you've never ordered anything from E.L.F before I'd definitely recommend having a look - it's fantastic for if you're on a budget. They always holding discounts and promotions too, so be sure to keep and look out and take advantage! 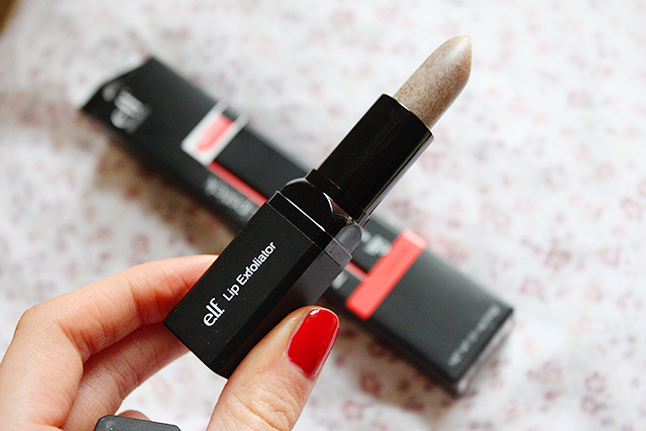 the lip exfoliator is fab isn't it! 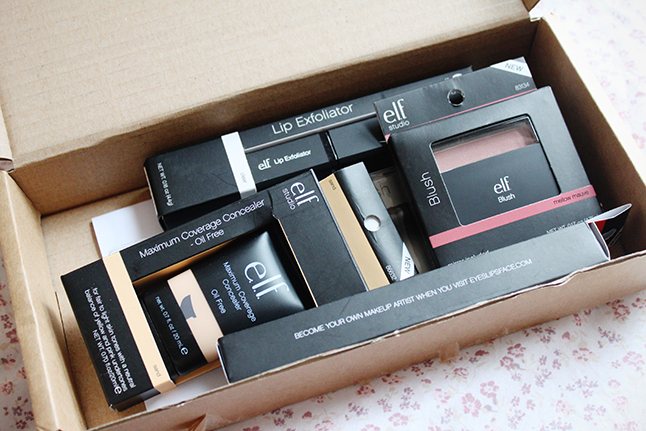 I really need to try some stuff from ELF soon! I'm always looking on the website but I've never got round to making an order. This stuff looks great. Lovely purchases! The lip exfoliator looks really interesting! 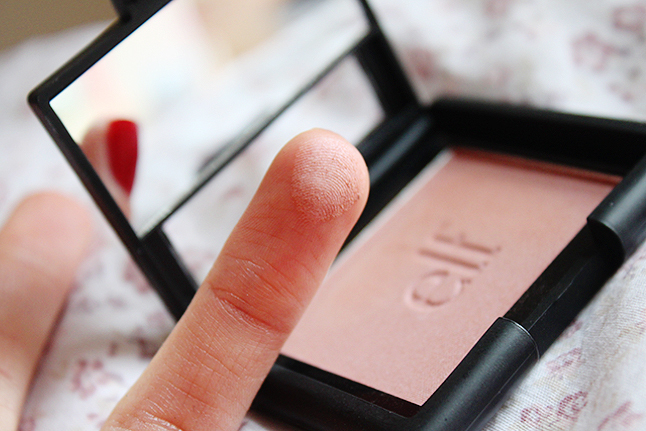 I just recently had me ELF virginity taken, even though in my eyes you can never beat MAC and Benefit they do some really nice stuff, I love their eye shadows! !